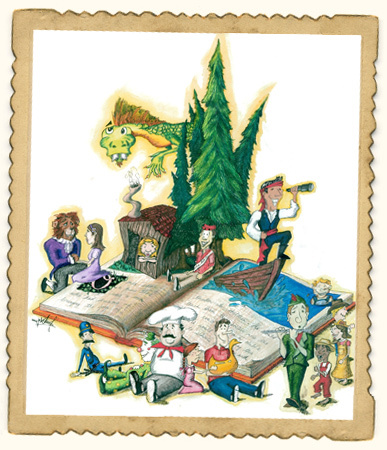 Taubenslag Productions is a Professional Touring Children's Theater Company dedicated to presenting quality family entertainment. We offer children and their families a range of programs from our Broadway-style professional touring shows to our original THEATERWEEK workshop to our Summer Theater Camp. Our company began its residence at the Jan Hus Theater in New York City in 1964. We were also the resident Children's Theater Company at Middlesex County College for 19 successful years. Today we tour the nation’s colleges and performing arts centers. 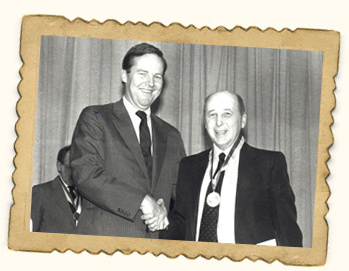 Our founder, Elliott Taubenslag, was awarded the Dorothy Mullen Arts and Humanities Award for “Best Children's Program in the United States of America”. We took this program and turned it into our original THEATERWEEK workshop now running for over 30 years and we’ve produced it in hundreds of schools and organizations. THEATERWEEK is designed to build a child’s self-esteem and confidence and IT WORKS! We get scores of thank you letters every year from parents who have seen their child blossom on stage. Our popular Summer Theater Camp not only teaches children about musical theater but also provides a safe atmosphere of fun, excitement and camaraderie they will never forget. Thanks to our successful programming and outstanding staff, the majority of our campers return year after year. Elliott Taubenslag, a high school teacher and drama coach, received the distinguished Governor's Award for outstanding achievement in educational theater from New Jersey Governor Thomas Kean, the National Recreation and Parks Association’s Dorothy Mullen Arts & Humanity Award and the New Jersey Recreation and Parks Association Award for Excellence in Programming. For many years Elliott was producer of the Jan Hus Theater in NYC. 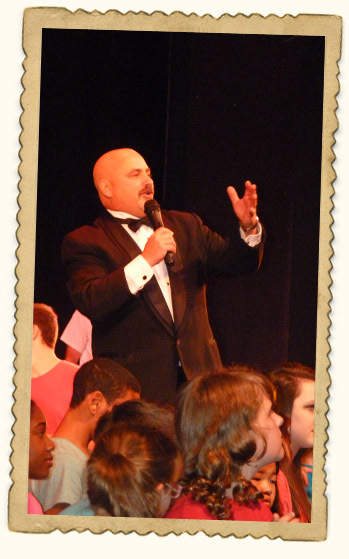 Elliott was the drama coordinator for the East Brunswick, New Jersey school system and founder and director for the East Brunswick Summer Children's Theatre. He was honored in 2010 for his 50 years of service to theater arts in East Brunswick where they named a street after him – “Elliott Taubenslag Way”! Elliott wrote and created numerous off-Broadway productions. His plays include “Millions of Miles,” which starred the late Kay Medford and “My Name Is Alice,” which won the Bucks County Drama Festival. Elliott is also known as the inspiration behind many successful writers, performers and producers in the theater and film industry today. So much so that Elliott is the subject of a film documentary created by Maureen Mershon called “My Mentor, the Amazing Mr. T”, which was presented at the Garden State Film Festival in Asbury Park New Jersey. 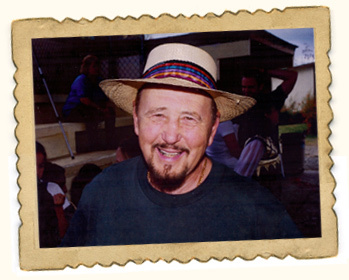 Elliott, along with his wife Myrna, retired to Florida to write, perform and produce shows, as well as run a recreation program at the community where he lived – but he always came back to his beloved hometown, East Brunswick, every summer, for his true labor of love…summer theatre for 50 years. He chose to retire from this job at age 80. Elliott passed away peacefully in March 2018 surrounded by his family. In June, “A Life Well Lived”, a celebration honoring the life and times of Elliott Taubenslag was held at Rutgers University (Elliott's Alma mater) in the Victoria J. Mastrobuono Theater. The video production can be viewed on YouTube. In August 2018 East Brunswick Township honored Elliott by renaming the theater he originally founded at Playhouse 22, the “Elliott Taubenslag Theater”. The legacy of Elliot Taubenslag continues to live on through his family, friends and the thousands of lives he touched along the way. At Taubenslag Productions, our style and formula for successful Children's Entertainment is all about being colorful, imaginative, original, and most of all FUN! We truly have something for everyone from our professional touring shows, to our award-winning, original THEATERWEEK school workshop and fundraiser, to our summer Theater Camp now going into its 30th season. I’ve spent my life in the theater, starting at the age of 3 performing in commercials and professional children’s shows in NYC and I haven’t stopped since. I also graduated from the prestigious Rutgers Mason Gross School of the Arts. I consider myself truly lucky to be able to do this job – although I don’t consider it a job at all! My joy comes from the countless children and families entertained by our shows. My satisfaction comes from the children I’ve worked with who grow and blossom in self-confidence as they perform on stage. My drive comes from my mission to bring arts in education to as many children as possible. And my summers – well my summers at Theater Camp are pure indescribable FUN! As the owner and producer of Taubenslag Productions I truly LOVE what I do. Thank you for visiting our website – Please view it as an open window to the endless possibilities of successful children's programming in your theater or school. Feel free to contact me about any of our programs. Check Out Our Photo and Video Gallery! © 2014 Taubenslag Productions. All Rights Reserved.